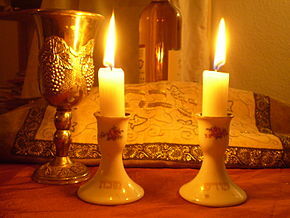 As a One New Man community, it is our desire to recover the timeless tradition of Shabbat. One way we encourage this is to set apart Friday evenings (the beginning of the Sabbath) with special prayers, special foods and the lighting of the Shabbat candles. It is a time to enter into God’s rest and as we enjoy fellowship with Him and one another. Sometimes we do this in large group settings (at our NHC center) but more often we do Shabbat in our homes. Either way, we would love for you to share this with us. Feel free to contact us for more information as to dates and locations.